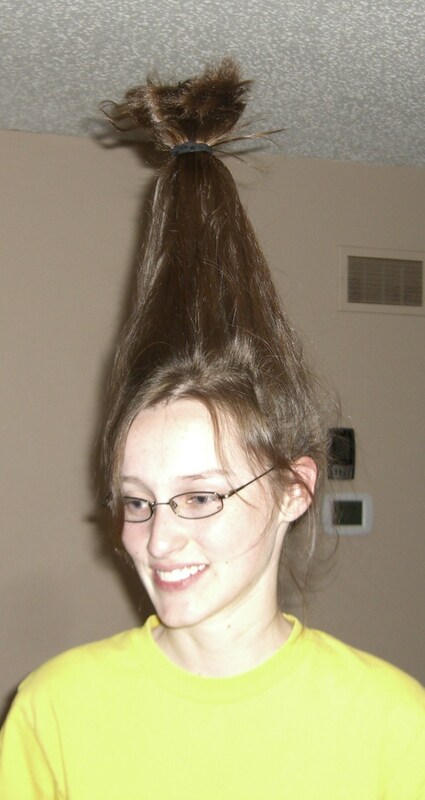 Crazy hair like this is easy to create and guaranteed to make your friends laugh. Here’s how: Grab an empty water bottle and a hair band. Bend over and hold bottle to the top your head. Grasp hair around the bottle and secure at top of bottle with hair band. Stand up and there you have it. Just watch out for low doorways!